Bloomsbury USA Childrens, 9781619636200, 320pp. 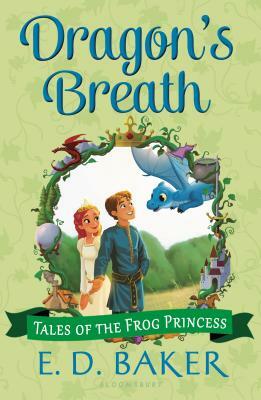 Emma and Eadric have no sooner turned back into humans (from being frogs) than Emma's mother is in a panic, Aunt Grassina is distracted because she's found her true love turned into an otter, and Emma's magic is so out of control she sends herself to the dungeon by mistake. The neighboring kingdom has chosen this moment to attack, and if Emma can't get Grassina's mind back on protecting the kingdom, life as they know it in Greater Greensward will be in peril. From underwater sea monsters to fire-breathing dragons, this witty pair of young friends manages to sweet-talk, cajole, and race their way to victory. But when it looks as if everything will finally work out, disaster strikes, and Emma finds that magic is not enough-it takes real bravery and a strong, new friendship to succeed.